Get your guy to the flag first! Build obstacles that lure your opponent off the track in Maze Stopper 2, an online strategy game.Get your guy to the flag first!Get your guy to the flag first! 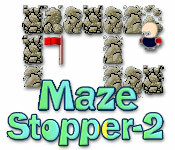 Build an obstacle course that lures your opponent off the track in Maze Stopper 2, an online strategy game. 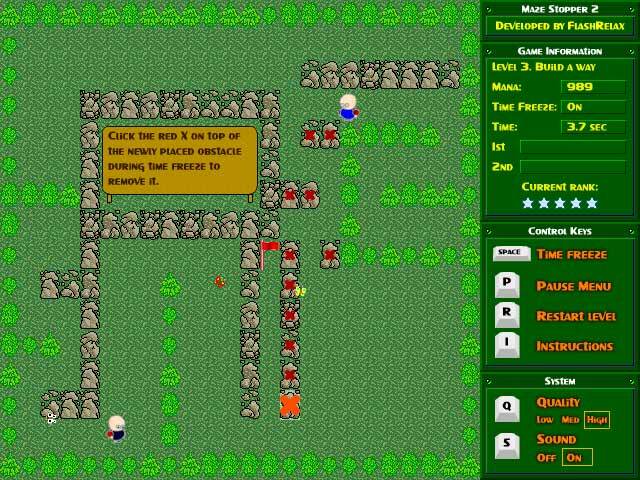 Use your mouse to place obstacles on the course while time is frozen. Press space when you are ready to freeze or unfreeze time. Collect mana power-ups so that you have energy to place obstacles. Unlock all 25 levels for the ultimate in strategic fun! NEW RELEASES! Notice All BigFishGames for all languages.